During the recording process you will have access to all of our gear and have the option to use our studio setting or hire Songcraft as a mobile studio in a setting of your choice. 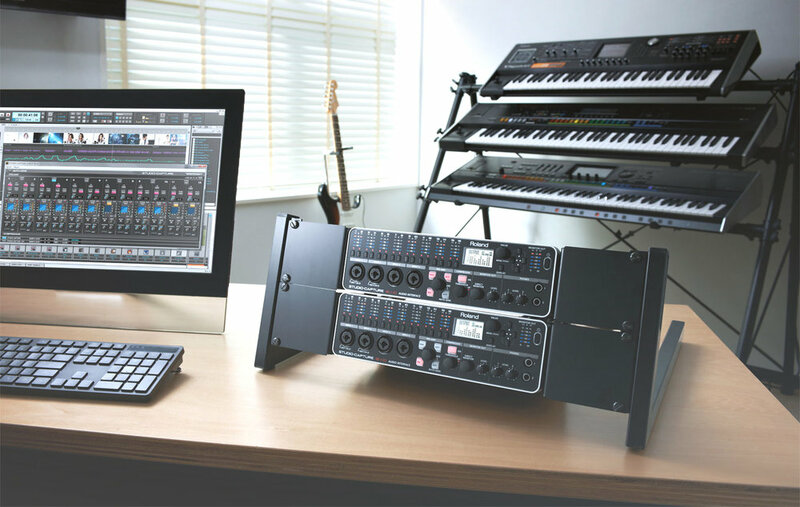 The heart of Songcraft's studio is the extremely powerful yet versatile 16 Channel Roland STUDIO-CAPTURE. Among its many standout features, STUDIO-CAPTURE offers 12 digitally controlled mic preamps, built with premium grade components for exceptional low-noise performance, high headroom, and transparent sound quality. It is equally at home in Songcraft Recording’s live room in The Kings Arms Theatre or as a mobile studio in your bespoke recording location. We use many types of recording apparatus to capture the projects we work on. Shure, SE Electronics, Presonus, Audix, and Røde.